Ah, those heady days of blossoming love. Here we have two couples at either end of the ‘honey-moon’ period, giving some hints of how a relationship changes in its early season – and perhaps some signs of foreboding for the future too. ‘prouerbially applied to such as be newe maried, whiche wyll not fall out at the fyrste, but thone loueth the other at the beginnynge excedyngly, the likelyhode of theyr exceadynge loue appearing to aswage’. Here then, we have our couple who love each other exceedingly. 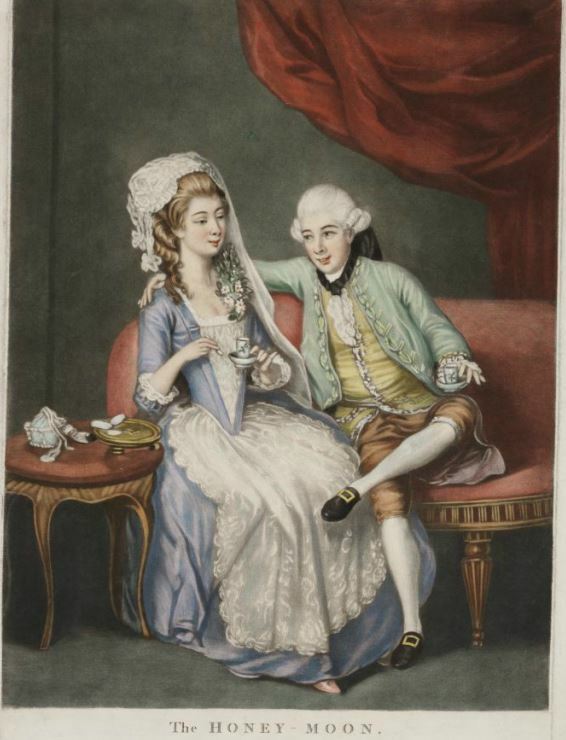 It is 1777 and the young newlyweds gaze towards each other affectionately, still maintaining a studied air of propriety and poise, whilst taking a cup of coffee. The gent wraps his arm around his bride. 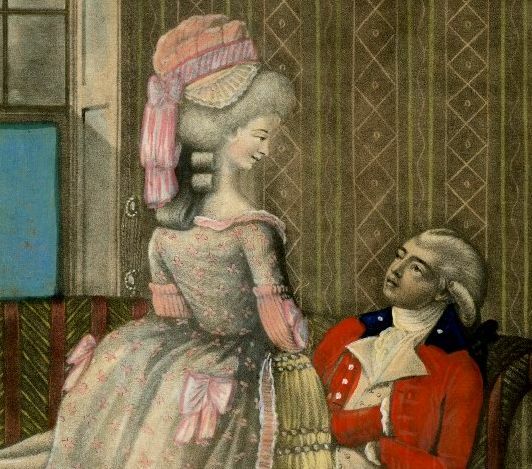 Details of their surroundings are fairly sparse, focusing the attention squarely on the lovers, perhaps just as they themselves are failing to take much notice of anything but each other. Top: The Honey-Moon, by Carington Bowles (1777). Courtesy of the Lewis Walpole Library. 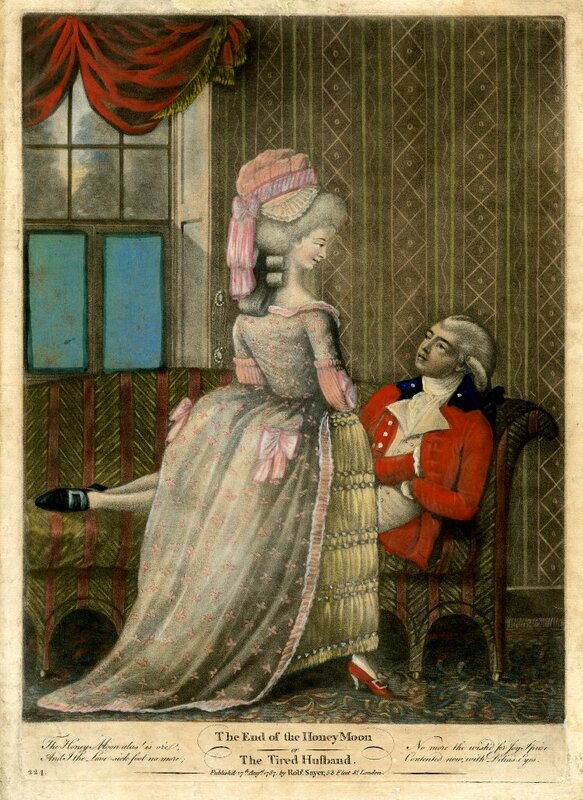 Bottom: The End of the Honey Moon, or, The Tired Husband by Robert Sayer (1787). From the British Museum collection. Pingback: ‘A love sick fool no more': the perils of the honey-moon | My BlogThe Philosopher's blog. Actually I think they are trees you can see through the window. Interesting article and prints. Thanks.